Last week while out to dinner I announced to the hubby, ‘We need more candles.’ This was after a trip to, of all places, the bathroom. It had soft music playing, a little heater running, and the best smelling candle ever. It was so warm and cozy I was tempted to lock the door and take a little nap. But then again, you might have noticed I have a bit of a thing for candles. They are so satisfyingly easy to make – and wrapped in piece of old t-shirt (bonus points if it looks like a peppermint!) they make the perfect hostess gift. Glue the wick to the bottom of the tin and roll the top around a pencil or skewer to hold it upright. If you don’t have enough wick to roll, then just hold it with your fingers when you pour the wax. Melt the wax in the microwave in 30-second increments (or use a double broiler). When all the wax is melted add 8-10 drops of essential oil and stir. The more essential oil you add the stronger the smell, so add the fragrance slowly. Pour the wax into the tin (holding the wick if needed) and let the candle sit for several hours to harden. 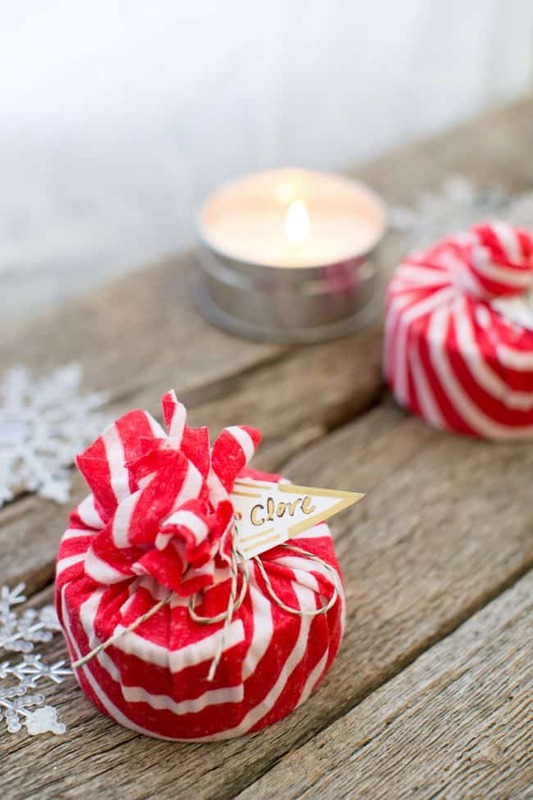 Use a circle of fabric and a piece of twine to wrap the candle. Add a homemade tag letting the recipient know what yummy smell to expect! About how much of the wax chips are used to make one tin? 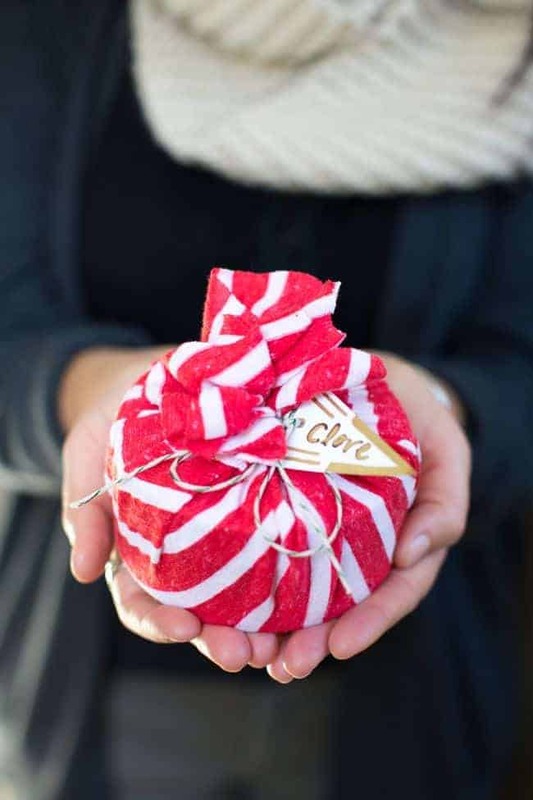 What a really nice hostess gift – I would both love to be the giver and the receiver! Quick question – what glue are you using to glue down the wick in the bottom of the tin? Thanks for your time. Take care. those are really lovely, great hostess gifts for sure! Love the t-shirt wrapping idea! What a great project! Using soy wax is a new method we’ll be sure to try. Loving your packaging, too! I have so many candles, but I always forget to light them! I need to do that and use some up so I have an excuse to make more. :) I love the t-shirt wrapping!